We manufacture precast concrete & steel retaining wall products. We pride ourselves on being the market leader and regularly creating new patterns and finishes that our customers want and love. 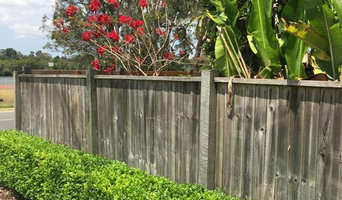 Our Company is based in North Brisbane, specialising in any gardening or handyman works around your house. We have been working together more than 8 years but we have known each other much longer, because we are a Family, a brother-sister-cousin trio creating beautiful interiors around the world and we absolutely love it! We are fully insured. Dreaming of a beautiful garden that requires no mowing, no watering and no fertilising or pesticiedes? 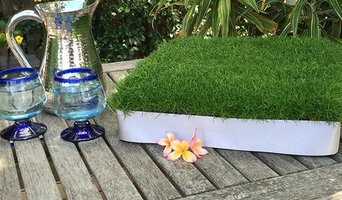 Dream no more with Synthetic Grass by Lush Turf Solutions. 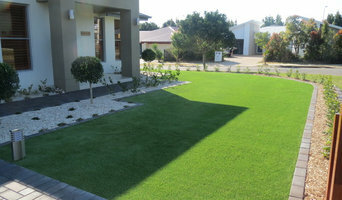 Choose from a vast array of low maintenance grass such as Lush Lawn, Lush Meadow, Pro Putt and more. The Greenery Nursery is a family owned and operated nursery. Established since 1989 we are situated at North Maclean in Brisbane's south east, half way between Brisbane and the Gold Coast at the foot of Mt Tamborine. We have an extensive range of plants, all of which are of the highest quality and very competitively priced. We specialise in growing for landscapers and developers and also offer "cash and carry" to local customers with smaller orders. We are happy to offer advice to help you create a beautiful garden suited to your climate and soil type. From Balinese and tropical gardens, to hedges and accent plants. You will find great value for your money with our various range and sizes. We design a range of Aluminium motorised driveway gates, pedestrian gates, privacy screens and fence panels. We service all areas of Brisbane and have a freindly rep who will come to you for a free site measure and design service. 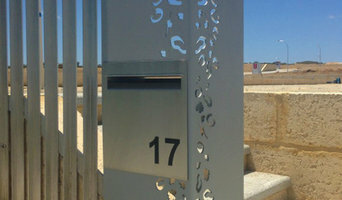 Designer, manufacturer and retailer of premium decorative privacy screens and gates. 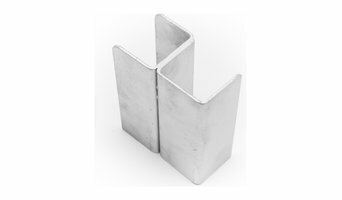 Choose from standard or custom sizing, with more than 50 striking designs in a range or materials, including aluminium, timber, corten steel and composite panel. 100% Australian made, at factory-direct pricing. Public welcome. Trade pricing available. Preston and Associates is a specialist law firm servicing Brisbane and Northern Suburbs. Our areas of practice are family and criminal law. Kashmiri Pebbles are one of the largest wholesale suppliers of bagged Natural and Polished Pebble products in the Australian market. Choose from a large range of styles, colours and textures to add depth and visual interest to your indoor and outdoor spaces. You are limited only by your imagination with the Kashmiri Pebbles range. With over 20 years of working with synthetic turf, we offer 7 different types of natural-looking and appealing artificial grass lawns for your home, office, or rooftop. We could even turf your car of you liked! A range of large planters from IOTA serve the purpose of housing large size plants and small trees. Perfect for housing small trees, Granite planters have full potential of withstanding the root growth of large size plants. Made from durable fiberglass, the lightweight Manhattan planters are capable of holding large plants. Rocky Point Mulching is Australia’s only family-owned and operated Sugar Cane Farm and Sugar Cane Mulch processing plant. Our Sugar Cane Mulch is not outsourced for production. We grow it, we pack it. We are a third-generation family owned and operated business; our story started all the way back in 1949, when Alexander and Phyl Keith purchased their first block of land in the Rocky Point area. In the beginning they planted and cut the cane by hand, and burning the cane was common practice. Since then, things have come a long way! Approximately 25 years ago, during a severe drought, there was a demand for stockfeed. Alex’s sons developed innovative mechanical harvesting techniques and now harvest the cane green. The sugar cane hay was supplied to feed lots and cattle farmers. When the rain finally came, there were thousands of small bales left on the farm that got wet. These were sold on as garden mulch to avocado farmers to mulch around their plantation trees. This was the start of the sugar cane mulch industry. Farmers were adding value to their income, more machinery was being purchased and more jobs were being created. Today, Alexander's grandsons work the land alongside their fathers and grandfather using best farming practices. In today's complex world sugar market, these three generations of farmers are producing the finest sugar cane mulch available. Over the years, the Rocky Point Mulching product range has expanded to include a full range of premium feeder and decorative mulches, potting mixes, growing media, sands, animal bedding and more! The family of products is always growing and we are always striving to innovate within the industry to make the best products available to the at-home gardener. ¿Qué hace una empresa de suministros de jardinería de Taigum, QLD, AU? Antes de comprar ningún material, consulta con los profesionales de la empresa de suministros de jardinería en Taigum, QLD, AU qué opciones tienes. Valora la opción del alquiler de herramientas para aquellos aparatos que vayas a utilizar puntualmente y recuerda que hay trabajos que solo un profesional experimentado puede llevar a cabo como, por ejemplo, la poda de grandes árboles. Si lo prefieres, puedes repasar los perfiles de otros expertos relacionados con el diseño y el mantenimiento de espacios verdes que encontrarás en las secciones Paisajistas y diseño de jardines, Servicios medioambientales y de restauración ecológica, Jardineros y Servicios de mantenimiento de áreas verdes. Encuentra maquinaria de jardinería en Taigum, QLD, AU. Mejora los resultados de la búsqueda en la sección “Profesionales” incluyendo el nombre de tu ciudad o comunidad autónoma. También puedes consultar las fotos de casas de los profesionales de Taigum, QLD, AU para encontrar expertos que hayan trabajado en proyectos similares al tuyo.